Jacob Marshall is an associate in the firm's Bankruptcy & Creditors' Rights Group. 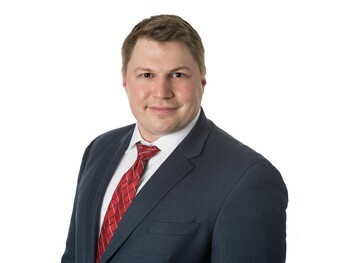 Prior to joining Goldberg Kohn, Jacob served as law clerk to the Honorable Eugene R. Wedoff of the Bankruptcy Court for the Northern District of Illinois. Mr. Marshall is admitted to practice in Illinois. In 2014, he received his law degree from Vanderbilt University and was named to Order of the Coif. While in law school, he was a Note Author and Articles Editor for the Vanderbilt Journal of Technology and Entertainment Law and served as an officer for the Mock Trial Board. He received his B.A. in English with General Honors from the University of Chicago in 2009.